Feature Trailer for Spider-Man: Homecoming. Although the movie is set in New York City, it was actually shot in Atlanta and the city scapes are digitally added and sets were created when needed. It is cheaper to build a New York set than it is to shoot in New York. Jon Favreau reprises his role as Happy Hogan from the Iron Man films. On Hogan's role in the film, Favreau stated he is "looking after [Parker]. He needs someone to help him out. The infamous Michael Giacchino composed the score for Spider-Man: Homecoming. His prior works include are too numerous to list all of them. Here are a few of his most recent projects: Rogue One, Doctor Strange, Star Trek Beyond, Zootopia, Jurassic World, Inside Out, Tomorrowland, Cars 2, etc. Michael is also slated to compose these films coming soon: The Incredibles 2, Untitled Jurassic World Sequel, and War for the Planet of the Apes. Another great trailer for Spider-Man: Homecoming which gives us tons of new footage! There is so much going on here! 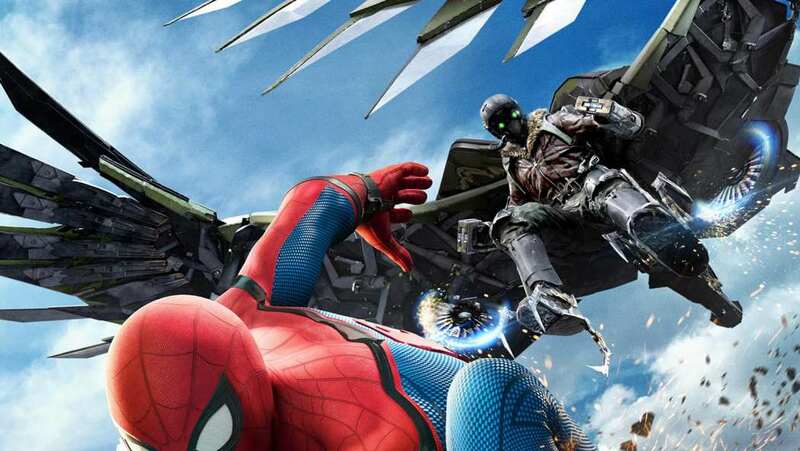 We get to see much more of Adrian Toomes/Vulture (Michael Keaton) and the basic back story of why he is going after Stark and eventually Spider-Man. We also get our first glimpses of Donald Glover's character and Bokeem Woodbine's character Shocker and how they are the right hand men for Vulture. I liked Tom Holland in the first trailer and in Captain America: Civil War as Spider-Man and after watching this trailer I like him even more. Tom brings that fun comedic edge to the character that I think it was missing over the past few films. I love Marisa Tomei but I do not think she works as May Parker, Peter's Aunt. She is too young and not what I picture from reading the comics. On the other hand, I think Michael Keaton is the perfect casting to play Vulture. It is Batman meets Birdman who turns to the dark side. With this now being the second official domestic trailer for Spider-Man: Homecoming and both trailer showing lots of different footage, I think Sony Pictures should stop there and not show too much.